Levonne Louie has written three books that are all in line with her general life’s purpose to Guide, Educate and Mentor, with Grace, Integrity …..and Style. Ms. Louie’s first two books aim to explain the oil and gas industry to the average person. The first book, Mineral Land Rights, explains the intricacies of land rights, a necessity in the exploration for oil and gas. 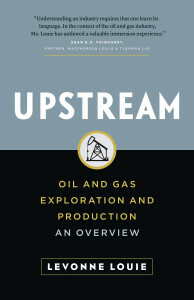 The second book, Upstream, explains the exploration and production processes involved in the search for oil and gas. By demystifying the oil and gas industry, Ms. Louie hopes that more people will become engaged and seek out further knowledge and facts about the oil and gas industry. 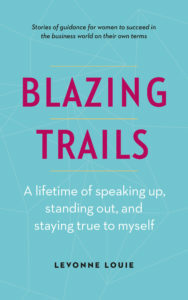 Levonne Louie shifts her focus in her third book, Blazing Trails (to be released May 15th, 2019). Levonne recounts some of her experiences and identifies key learnings she acquired through her career. By describing her journey and the gems of wisdom she has collected along the way, her hope is to inspire and empower other women, particularly those that work in male dominated professions, to blaze their own trails.